Steven (Chicagoland, United States) on 11 November 2010 in Plant & Nature and Portfolio. Spotted here is a "blanket" of ginkgo biloba leaves found in my parkway. It's a repeat of what was captured in 2007. 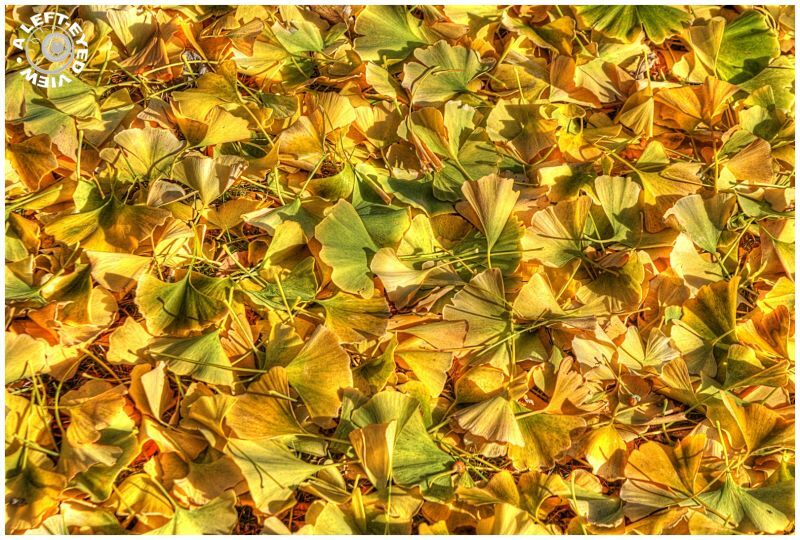 The ginkgo biloba tree sheds all of its leaves within just a few hours, creating this blanket of leaves. This year my neighbor's toddler son got in on the action with his dog as they stood under the tree as if they were being rained upon. Photo captured on November 7, 2010. Did you know that a Ginkgo Biloba is a unique species of tree with no close living relatives? It is one of the best-known examples of a living fossil, because Ginkgoales other than G. biloba are not known from the fossil record after the Pliocene. Beautiful carpet - wonderfully well done! So wonderful it is almost beyond belief, at times . . this is lovely. A soft bed of leaves, what would we want more now. Beautiful colors, just a moment of celebrity for something unique in the world (as Peter says ...:). The Gincko has the most glorious yellow too! We had some in our business park in San Diego and even there, they would turn later in the fall...this is just beautiful Steven! I like this closeup better.. the leaves are really saturated in gold. This should get spotlight for beauty, light, color, detail, and originality and creativity!!!!! 5*****!